Jonathan M. Pore, of Arlington, was arrested on Massachusetts Drug Charges after Arlington Police found 111 marijuana plants in his home this week. Pore was arraigned this morning in Cambridge District Court and charged with Possession with Intent to Distribute a Controlled Substance. 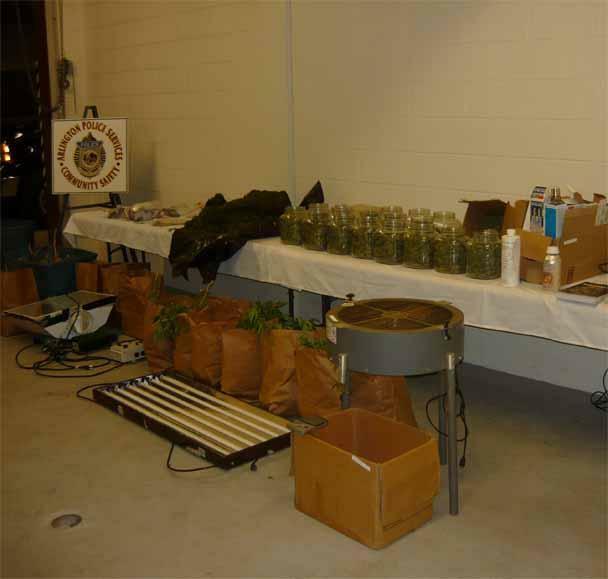 According to the Cambridge Police Department and the Middlesex County District Attorney’s Office, the apartment allegedly belonging to Pore was searched yesterday and allegedly found to contain 111 marijuana plants, about 46 pounds, with a reported street value of over $120,000. Police also allegedly seized $6,300 and 3 scales. It’s unclear whether Jonathan Pore was present when the apartment was searched; whether there were any other occupants present and/or if anyone else resides in the home; nor what led police to focus a drug investigation on Pore and/or the apartment. Boston Criminal Lawyer Lefteris K. Travayiakis has extensive experience in defending persons charged with Massachusetts Drug Crimes, and is available 24/7 for consultation. To schedule a Free Consultation, Click Here to Contact a Massachusetts Drug Lawyer or call 617-325-9500.